BAPTIZED: 25 January 1586/7 at Wisbech, Cambridgeshire, England, son of Edward and Thomasine (Cross)(May) White. MARRIAGE: Susanna Jackson, about 1614, probably in Amsterdam. DEATH: 21 February 1620/1 at Plymouth. Caleb Johnson, Sue Allan and Simon Neal, "The English Origin and Kinship of Mayflower Passengers William White and Dorothy (May) Bradford of Wisbech, Cambridgeshire," The American Genealogist, 89-2(April 2017):81-94 and 89-3(July 2017):168-188. 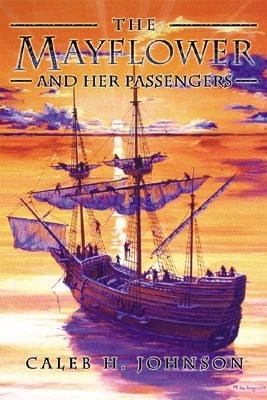 Sue Allan, Caleb Johnson and Simon Neal, "The Origin of Mayflower Passenger Susanna (Jackson)(White) Winslow," The American Genealogist 89-4(October 2017):241-264. William White was baptized on 25 January 1586/7 at Wisbech, Cambridgeshire, England, the son of Edward and Thomasine (Cross)(May) White. 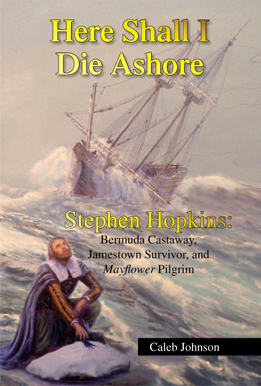 His mother, Thomasine, was married to John May, and was therefore was also the grandmother to Mayflower passenger Dorothy May. William's mother Thomasine was buried on 10 November 1591 at Wisbech. His father Edward died about 1594 when he was seven, and he went to live with his maternal grandmother Jacomine and her second husband Thomas Robinson. Thomas Robinson died in 1595, so widow Jacomine raised her grandchildren William (and sister Martha) White. Martha died and was buried at the age of 19 in 1608, and (turning 21 that year) William headed off with his half-siblings Henry and Jacomine May to Amsterdam (he was given permission to reside in Amsterdam in June 1608), where they joined the church congregation of Henry Ainsworth. William White witnessed the marriage of his half-sister Jacomine to Amsterdam printer Jan l'Ecluse on 5 May 1609. He married Susanna Jackson, daughter of Richard and Mary (Pettinger) Jackson. Susanna was likely born and raised in Scrooby, and her father held a lease for a portion of Scrooby Manor. She may have fled with her father to Amsterdam in 1608, and there married William White. William and Susanna had their son Resolved about 1615, and son Peregrine was born sometime the last three days of November 1620, after arrival and anchorage off Provincetown Harbor, but before the Pilgrims had explored and found Plymouth. 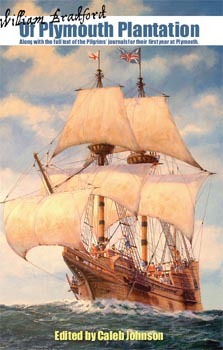 William died the first winter, 21 February 1620/1, on the same day as three other passengers, including William Mullins. His wife Susanna remarried to Edward Winslow a few months later, on 12 May 1621, being the first marriage to occur at Plymouth.